only shared date of birth but also many qualities with the great Indian patriot Subhash Chandra Bose. Like Bose he was a very proud Indian and passionate about development of India. He was firmly of the view that as our freedom fighters have got us independence through their sacrifices it was the sacred duty of his generation to respond to Nehru’s call to make India self reliant. 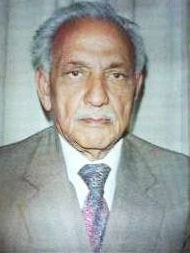 After finishing his MBBS from prestigious King George Medical College in 1946, he went to UK for higher education in the field of ophthalmology. He completed DOMS from Royal College of Physicians and Surgeons London and DO from Oxford in 1947 and returned to India to his alma mater to complete his MS in 1949. He joined the PMS I and served in Bijnore as Civil Surgeon. Teaching and research was his first love and he joined S N Medical College, Agra as lecturer in 1954 and moved to G S V Medical College Kanpur and soon became the Head of Department of ophthalmology. Because of the name he had earned as a teacher and researcher that he was selected to become the founder professor of the department of ophthalmology of All India Institute of Medical Sciences in 1959 at the young age of 37. Leaving Kanpur meant both he and his wife Dr Savitri Agarwal had to give up their lucrative practice. He became a FAMS in 1961 and was one of the youngest doctors to be elected as a fellow of the National Academy of Medical Sciences in 1962. He was a life member of International Academy of Ophthalmology. He built the department of ophthalmology from scratch and soon made it the most prestigious department in the country. As a proud Indian he was distressed to see so many Indians go abroad for treatment. He was determined to make India self reliant in the field of ophthalmology. It was with this vision that he conceptualized and established Dr Rajendra Prasad Centre for Ophthalmic Sciences. A hard task master he expected nothing but the best from his students. He was available to his students at all times. Ethics was an important part of his training to his students. The prestige enjoyed by RP Centre all over the world as the premier centre of ophthalmology is the best tribute to this visionary. Dr LP Agarwal was deeply conscious of the fact that paramedics had a very important role in the field of Health care. He attached great importance to their training and established the facilities for training of optometrists in R P Centre. As a young doctor in the districts of U.P. he learnt the importance of community medicine and hygiene and sanitation. He took personal interest in ensuring highest standards of cleanliness in the centre. Recognizing his abilities as one of the most accomplished medical administrators, he was appointed Director of AIIMS in 1979. A prolific author he wrote several books and hundreds of research papers. He served on the editorial boards of the most prestigious journals of ophthalmology including Ophthalmological and VISION dedicated to International Ophthalmology and prevention of Blindness. Prevention of Blindness was the cause to which he was passionately committed all his life. He became the first ophthalmic advisor in the ministry of health and drafted the first National Programme for the Prevention of Blindness in 1976. In view of his pioneering work in this field the WHO also sought his expertise for preparing the plan for prevention of blindness in Afro-Asian region. Prof.Lalit Prakash Agarwal was the founder & pillar of National Society for the Prevention of Blindness-India (NSPB-I). He held the post of Secretary General of NSPB-I from 1964-1976.He was also the Vice President of the National Society for the Prevention of Blindness and later became its President. He tirelessly worked to promote the donation of cornea and set up the National Eye Bank in Rajendra Prasad Centre. As there was acute shortage of cornea in India he actively collaborated with Sri Lanka for donation of corneas to India. half an hour before his passing away. During the last couple of years of his life he was working on a multi volume book on ophthalmology but that alas was not to be completed. However his vision and his work live on not only in R.P. Centre, AIIMS but also through his students who are in senior positions all over the world. The best tribute to this visionary would be to not only pledge our own Eyes but to motivate all our family members, relatives and friends to donate their eyes to give vision to those are deprived of the experience of appreciating the beauty of nature. The sudden death of Prof.S.R.K.Malik in a tragic road accident on May 30, 1993 came as rude shock to the ophthalmic fraternity in India and abroad. His passing away at the prime of his professional career and in the midst of his great contributions in the field of ophthalmology and to the cause of ophthalmologist in the developing countries has been an irreparable loss to the Society at large. He was born on 26th March, 1931 1in Rawalpindi and was educated at Agra University where he did his M.S. in 1957, he became FRCS in 1959 and later Fellow of the College of Ophthalmology of United Kingdom. He was awarded Fellowship of National Academy in 1979. 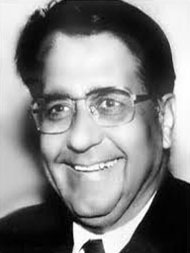 After serving as Assistant Professor at AIIMS, he moved to Maulana Azad Medical College where he became Professor and Head of the Department of Ophthalmology,Guru Nanak Eye Centre (MAMC) (1964-1974). Prof. S.R.K.Malik was an outstanding, dedicated, academician, scientist and skilled ophthalmic Surgeon. He did commendable work both at national and international level in the field of clinical ophthalmology and community ophthalmology. Prof.Malik’s life was a saga of commitment and service to the cause of ophthalmology in general and community ophthalmology and prevention of blindness in particular. He not only contributed to this cause but also inspired a large number of individuals and organizations to serve in this field. His espousal of this cause through the medium of National Society for the Prevention of Blindness-India as its President for two terms is a shining example typical of his contribution. During this period he gave a new direction to strengthen information, education and communication strategies in the field of prevention of blindness. He stressed on innovative and experimental role of voluntary organizations in community ophthalmology through projects like cataract backlog free areas beginning from Datia District in Madhya Pradesh, optimizing use of eye hospital infrastructure by full working of such hospitals throughout the year initially in Modinagar and eye screening of school children He envisioned, planned and developed Guru Nanak Eye Centre, a 225 bedded eye centre. He did over 75,000 surgeries and organized 200 eye camps in three decades, where about 20,000 operations were performed free of charge. He was one of the first Indian Ophthalmologists who started the movement for clearing “Cataract Backlog” through eye camps. He set up Health Media Centre-India (HMCI) an unique organization of Helath Administrators and Media persons who interact for proper orientation on various health subjects. As Regional Chairman of South East Asia Region of International Agency for the Prevention of Blindness (IAPB), he provided outstanding leadership in the field of prevention of blindness for the countries of the region by organizing the first ever Regional Agency and made positive contribution to some solutions of some practical problems relating to prevention of blindness and eye care in the region. Towards that end, he organized a number of international conferences and congresses of ophthalmology in India and carried on the service to this cause through regional and international organizations. He was associated with the number of societies and his services to the community and to the field of ophthalmology won numerous honours “Padmashri” by Govt. of India, “Distinguished Service Award” for meritorious work by Asia Pacific Academy of Ophthalmology amongst others. He was honorary ophthalmic surgeon to the President of India (1974-87), Honorary Ophthalmic Advisor to Delhi Administration and Chairman of Ministry of Health’s Action Group for Ophthalmology for Northern India. In fact, he became a legend in his lifeline in this field not only in India but internationally. His helpful spirit endeavored him to all those in India and abroad who came in contact with him. He was great pioneer of rare species who are born once in generations.